MailStore automatically stores all incoming and outgoing e-mail messages in a centralised and secure system. MailStore helps users to stop manually archiving e-mails with folders and subfolders like they have done for a long time and to store e-mail in secure a reliable archives of any size. But there is more. Each user can search his or her own messages autonomously, including those which were deleted, straight from his workstation and without the network administrator’s help. MailStore works with any mail server and with any e-mail client. Latest-generation software that monitors every aspect of the IT infrastructure by simplifying and optimising daily operatios. 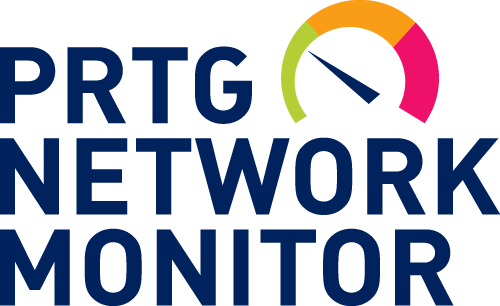 By controlling the network and its performance, PRTG helps guarantee that all business-critical components of the infrastructure work without any issues and with 100% uptime. BackupAssist responds to many backup needs in a clear, simple and cost-effective way, with a single software. BackupAssist helps you save and find all the important company data whenever you need to: documents, files, e-mail on Microsoft Exchange, SQL databases and Hyper-V virtual machines. BackupAssist helps users to save company data on different devices, and it allows off-site replication on public and private clouds. Thanks to BackupAssist, anyone can carry out operations which are usually long or complex such as monitoring backup status and the amount of taken-up space on save devices. The base model functionalities can be upgraded with several additional components that can be installed as and when needed, based on specific needs. Webroot is an always-on protection that guarantees no interruptions and no slowdowns. Webroot proactively checks URLs, finds harmful content and blocks websites which take your personal data without your approval. Webroot runs in the background to protect your usernames, account numbers, security codes and more personal information from theft. Sensible Data relies on market-leader WatchGuard in order to guarantee the best security standards for your network. Do not let others tell you what you need to do. Do not let anyone else decide your network security strategy. Sensible Data designs and implements Wi-Fi solutions for businesses, hotels, museums and big events, even temporary ones, by using Ubiquiti Networks products. Ubiquiti Networks is a market leader for bandwidth as well as indoor and outdoor wireless systems. Do you need these products?